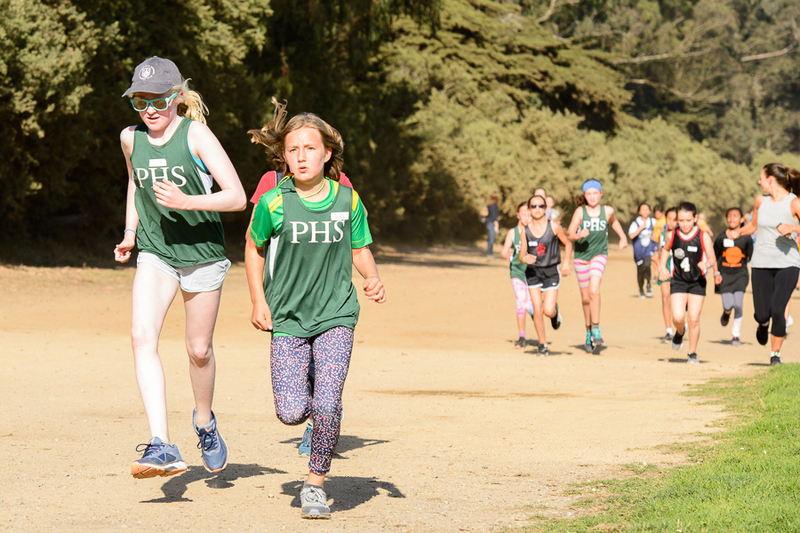 The Presidio Hill School athletic program offers sports for middle school students; our goal is to provide students with many opportunities to explore new sports, increase their athletic knowledge, and develop important skills while enjoying being active and part of a team! While competition is a healthy characteristic we encourage in our teams, we do not put winning ahead of developing as a team and working together. 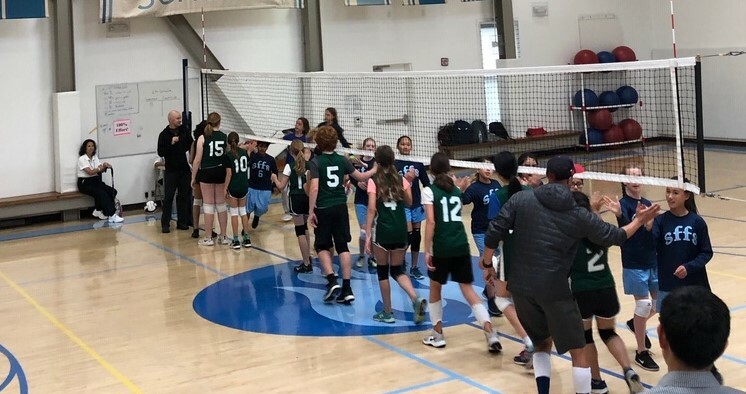 Our program emphasizes teamwork and sportsmanship—we want our students to have fun and develop skills in a supportive atmosphere. Our spring sport is futsal, a game similar to soccer but played indoors and with five active players. The futsal teams this year have been putting in quality work at practice in preparation for the games ahead. During practice, we make an intentional effort to lift each other up and move on quickly from mistakes—this is called filling our emotional tank. Julie Foudy, who was Co-Captain of the U.S. National Team and FIFA World Cup Champion in 1991 and 1999, says "there are people who bring you down in life. And then there are people who bring you up. You want to be around the ones who fill your tank. We had a lot of them on the team." People and athletes simply do better when their emotional tanks are full. You can think of the E-Tank like the gas tank in your car (unless you drive a hybrid of course). If your car's gas tank is empty, you can't drive very far. If you have a full tank, you can go a long way. It is possible for teams who routinely fill each others' tanks to develop a portable home team advantage. Praise: Praise works best when it is specific and truthful. Glue actions: Be the person on your team who notices and comments on the unsung things that hold a team together. Nonverbal actions: Smiling, clapping, fist bumps, head nods, thumbs up, and eye contact all fill tanks. It doesn't always have to be talking. Check-ins: Look for a teammate who seems down and check in with them. Our student-athletes continue to work on improving themselves, each other, and the game—all of which fills the tank. Great job players!